Discussion in 'The DX Zone' started by N5CM, Feb 8, 2019. I've been back in the hobby for one year after 10+ years QRT. 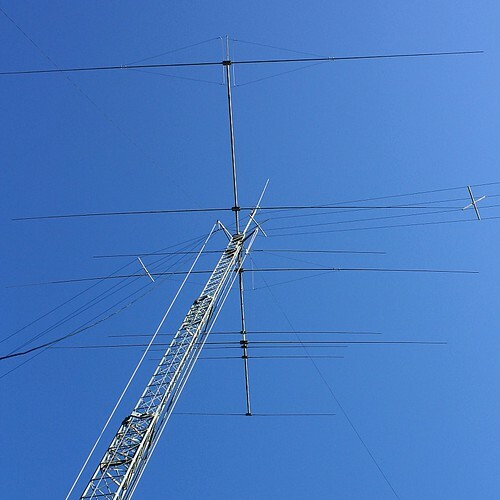 I operate mostly CW, and I enjoy chasing states and DX on new bands. It is my perception that behavior is worse than it was "back in the day" and has actually gotten worse during the time I've been back on the air. For example, I got into the V84SAA pileup on 40m this morning. My modus operandi is to listen for the guy the DX op is working and jump in at that frequency or jump in at the frequency where I think the DX op will be on the next exchange. To accomplish this, I need to be able to hear the guy the DX op is working. That's really difficult if several folks are still sending their calls when the guy the DX op is working is trying to respond to the DX op. Also, people keep sending their calls while the DX op is sending, and they keep sending their calls when the DX op has responded to a specific call sign. For example, V84SAA responded a station with a "UA" prefix, clearly NOT a north American station. Among the fray, I copied the call signs of three north American stations, among others, who kept sending their calls, when V84SAA was clearly trying to respond to the "UA" station. To his credit, V84SAA stayed with the "UA" station until he completed the QSO. All I can gather from this is that the offending stations: a) can't really hear the DX op, b) aren't listening to the DX op, and/or c) just don't care and are rude, crude, and obnoxious. It is my perception that the DX ops could complete a lot more QSOs if they didn't have to put up with the cacophony of people continuously sending their calls and not listening. And finally, there is the tune-on-DX-frequency crowd. I use a non-resonant antenna and a tuner. Much more often than not, I can find a quiet spot not too far away from the DX frequency on which I can tune. Is it necessary to zero beat the DX frequency to tune your BelchFire 12000 QRM Plus amp? The behaviors described are not unique to the subject pileup. I see/hear it all the time, and it appears to getting worse. Yes, I finally got through and have V84SAA on 40m. N0TZU, W5BIB, AB8MA and 3 others like this. This might be worse than before, but at the risk of sounding snarky, some of this particularly on CW, is that some of the participants really do not know how to operate properly in a CW pileup and some of them barely even copy their call, much less understand that the DX OP is giving instructions or working another station. If you think CW pileups are bad, don’t listen to a phone pile up! It’s been debated before, and sometimes mentioned that this poor behavior is just a reflection of our society and the “me first” attitude so prevelant now. Not just in the USA, but all over. How to fix this? It’s probabl impossible! It’s OK, tomorrow is another day! YO3GFH, NA1S, WA7PRC and 2 others like this. I've been continuously licensed for 61 years and a DXer most of that time. I believe the problem has gotten worse and I think you and WG7X have identified some of the reasons. Like WG7X I doubt the problem has a solution. As you know there is an art to getting through a pileup and many of us OTs learned it many years ago. Too many newcomers to DXing today have no clue and I seriously believe many of them think that if they just keep repeating their call over and over, regardless of whether the DX is in QSO or not, they will get through. There are some whose only knowledge of CW is how to program their automatic keyer with their call and 5nn...some of them, as noted, can barely pick out their own callsign. Then there are those who can barely hear the DX due to no or little propagation but hoping for a miracle they call anyhow. I have always made it a point, on SSB or CW, to only call a DX station if I am confident I can hear him/her come back to me. I also only work DX on a band/mode that I don't have confirmed. No point in adding to a pileup on something I already have. The only entity I don't have confirmed at all is P 5 and I am not hopeful it will be on the air in what's left of my lifetime. N0TZU, W5BIB, W7DCM and 1 other person like this. In complete agreement with the two above, I also attribute some of the current pileup behavior to those using "code readers" as they either don't know, or can't copy at pileup speeds. This is completely obvious when the DX station replies to one station with all callers standing by - and no response to the station called! From a DX station's perspective, the purpose of a pileup is to spread callers out over a range of frequencies, making it easier to quickly and accurately capture a caller's full callsign; the result is a snappy rate of QSOs, which pleases both the DX station and the callers who get through. The recommended best practice for callers in a pileup is to anticipate the DX station's next listening frequency, and call there. But if the DX station changes his or her listening frequency by the same increment after each QSO, and if most callers follow the best practice, then the result will be a large number of callers on the anticipated next listening frequency - defeating the purpose of operating split. As a result, DX stations with significant pileups have stopped changing their listening frequencies by the predictable increments after each QSO. Some make several QSOs using the same listening frequency, moving on when it becomes too crowded to accurately pick out callsigns. Some look for the first clear caller up or down from the last listening frequency. Some make a random frequency change and look for a clear caller. The result is that from a caller's perspective, large pileups are chaotic, with no effective best practice for getting through quickly. There is still information to be gained by first listening to the DX station make a few QSOs to determine what he or she is doing, but in the best case that information only slightly reduces the time likely required to get through. The result is more frustration on the part of impatient callers, leading to the behaviors reported above. The best practice referenced above is still effective in smaller pileups; if you find one, enjoy it! In my experience, it's best to work needed DX before a spot has attracted the cluster hordes and a pileup forms. Learn the DX station's operating habits. Be aware of all propagation openings between your station and the DX station's QTH. Understand all propagation openings between the major competition (e.g. the other coast of North America, Europe, Japan) and the DX station's QTH. Monitor likely frequencies at likely times when you have an opening and the competition's propagation is less favorable. freq holder: somecall, you're 5-9, qsl? other: you're 5-9 also, good qsl. I called out and had to ask them their callsign because in the 5-10 minutes I was listening, they didn't say it a single time. No idea how everyone else had already had it unless they too had been listening a very long time. WU8Y, N5WVR and N5CM like this. Most often, 100W works FB. W5BIB and K7MH like this. So here is a sample what I got - twice in a row ! That's a Big Gun Station. I will install a dozen plasma TVs at the base of that tower.